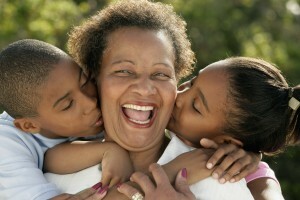 Grandparents play a critical role in the health, well-being and development of their grandchildren. This is especially true when one or both of the child’s birth parents are absent or estranged. If you are a grandparent seeking custody or visitation with your grandchild, a Phoenix custody attorney can help you exercise your rights. 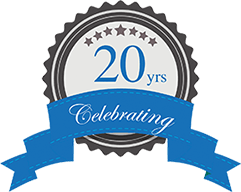 At the Thomas Law Office, we have nearly two decades of legal experience in family law cases, and we will do everything we can to achieve your objectives. Under Arizona Revised Statute 25-409, the law recognizes that third parties (usually grandparents) may assert a right to custody over a child. Typically, grandparents seek custody when one or both of the actual parents are unfit or unable to care for the child. This could be because the parent(s) are incarcerated, addicted to drugs, or deceased. If the parents are both alive and capable of properly caring for the child, courts tend to rule in favor of the parental decision not to allow the grandparent(s) access to their children. It is presumed that the child’s parents are acting in the best interest of their child. However, every case is factually different, and the courts always base their decision on the child’s best interest. A skilled Phoenix custody lawyer can make a strong argument to grant custody or visitation with your grandchildren. What factors will the court consider if I seek custody or visitation as a grandparent? The person seeking custody or visitation must stand “in loco parentis” to the child. That is, in an existing parental role. There is no pre-existing court order regarding custody of the child within the last year. Evidence of serious danger to the child can overcome this presumption. One of the child’s parents is dead, the parents are in the process of divorce, or the parents are not married at the time of the grandparent’s petition for custody or visitation. There are some slight variations between custody and visitation for third parties. Our Phoenix, Arizona custody attorneys are well versed in fighting for the rights of grandparents and can answer any questions you have about your case. Call the Thomas Law Office for a custody consultation today!